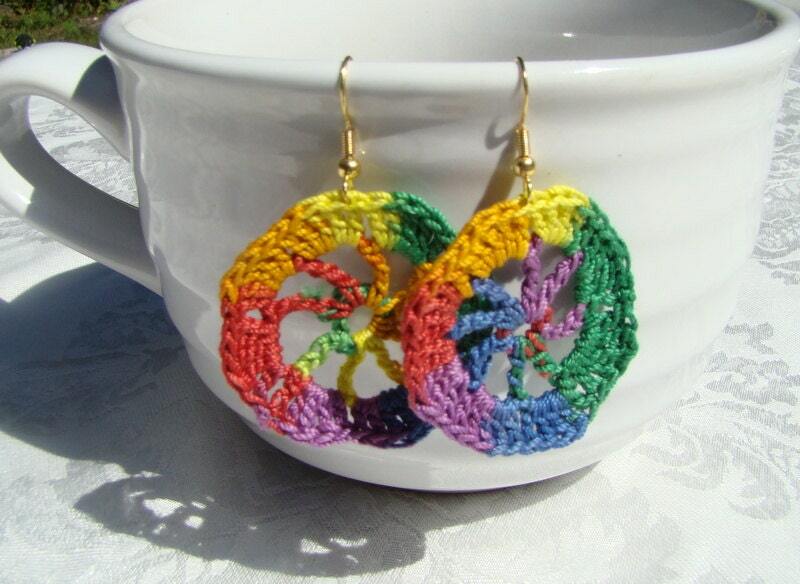 The bold and beautiful wagon wheel shaped earrings are fun and oh so colorful! 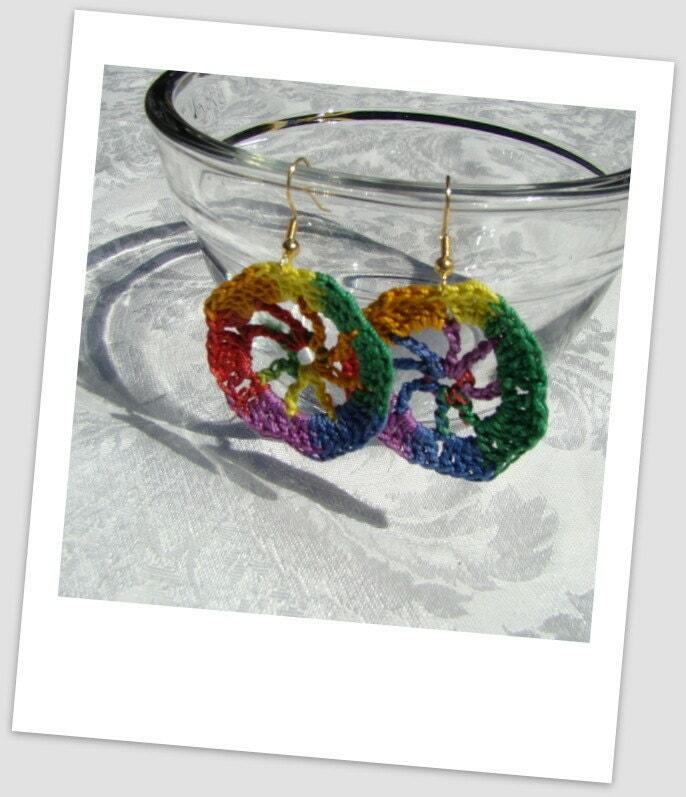 With blues, reds, yellows, greens and varigated shades you'll want several pair to wear and share with friends! 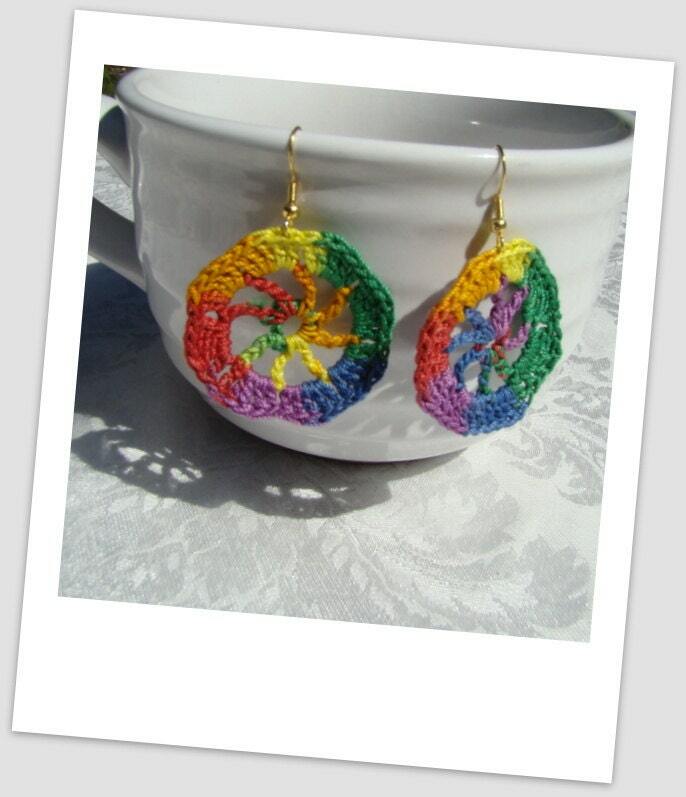 Size approx 1 1/2" round, they are sure to be a new favorite!